How to Increase Social Media Organic Traffic! Home » How to Increase Social Media Organic Traffic! First of all, let’s understand what is organic traffic? – “Organic traffic” is the traffic that comes to your website as a result of unpaid search results. One of the main goals of SEO is to increase organic traffic. Similarly, “Organic reach” is the total number of unique people who were shown your post through unpaid distribution. High organic reach numbers is one of the treasures that brands seek when they aim for social media visibility across various social media platforms. With more than 300 million monthly users on Twitter and more than 1.5 billion monthly users on Facebook, brands surely do not want to miss any opportunity to communicate with a huge, potentially free, audience. But organic reach on social media platforms is gradually declining. In 2016, organic reach for Facebook pages fell to 52 percent that clearly showed how competition (in terms of content) and algorithms both are changing in the way people consume media. So, how to deal with this decline in organic traffic on Social Media? The Social Media space is becoming crowded and giving rise to tough competition for brands to seek audience attention. Also, social media companies want businesses to pay up if they want to reach more people. Seems like it is the end of free use of social media to reach consumers-Right? No, different social media platforms come with their own unique opportunities, challenges as well as audiences, indicating the need for a diversified mix of accounts to reach potential consumers. Post frequently and optimize: Track your posts and optimize them based on the reach you get. It is possible to get significant reach if your content is widely shared by users. 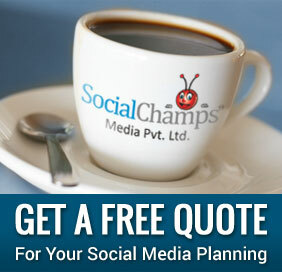 Leverage other social media platforms: Remember Facebook is not the only social media platform. Brands on Twitter may get 100 percent organic reach. If a large number of users “re-tweet” your content, it will definitely increase your post reach. On the other hand, Pinterest and Instagram are great platforms for brands in retail and fashion. For Brand video promotion, YouTube and other video sharing sites like Vimeo are more effective. Platform like LinkedIn works well for reaching a professional audience. The algorithm changes and the type of content that is posted have a significant impact on reach and engagement of a brand as well as the amount of traffic it can draw in organically. It’s time to embrace Facebook as a way to connect with your audience, encourage discussion, showcase your values, build a rapport and drive some traffic. So posting links to your website/blog content can’t and won’t get you the results you’re looking for. Understand your audience: Post content that you feel your audience is likely to share with their friends. Dig into facebook insights or analytics to uncover the types of posts or the content that your audience is already resonating to. Look for posts that are driving more website traffic and more page engagement. Tweak your content plan accordingly. Make sure to review this data often and make necessary adjustments to your content strategy. Avoid clickbait headlines: Though as a publisher, brand or marketer, it may seem to be a good option to use a sensational headline to grab attention and get the click at some point. But Facebook actually uses a system to detect clickbait headlines, after a link is shared on the platform. It identifies such Pages and web domains that are consistently posting such content and reduces the distribution of such posts in the News Feed. To sum it up, it’s better not to focus on the click-through or being spammy or misleading. Rather post content to encourage engagement. Use native videos: It’s true that including images and video content in your posts is a way to drive engagement. But native video (a video content that is created in or directly uploaded to a social media platform which auto-plays within the news feed) can be the type of media post that gets the greatest reach. Mention/tag other users or pages: Mention and tag other pages and users in your content to reach out to a larger audience. Not only do those you tag get notified but they’ll be more compelled to engage and share your post with their audience. Encourage employees to share and engage with your posts: Employees should be a brand’s greatest fans. Encourage them to engage/share your Facebook page to help generate some reach and give engagement some momentum. Twitter: Twitter is one of the major social media platforms used by brands to engage with their audience. A survey of the top 50 global brands by Forrester revealed that these top brands post more frequently on Twitter than on any other social media platform. Include auto-expanded photos & videos. LinkedIn: There are around 400 million LinkedIn members across 200 countries and territories of the world. On a cumulative basis, around 100 million people actively use the platform on a monthly basis. LinkedIn too has similar functioning as other social media platforms. Your posts and status updates can record a 20% organic reach. This figure can rise to 60% if you post at least 20 times a month. Post content at the right times. Pinterest: As per a survey, every post on Facebook will get you 90 minutes of visibility in the news feed, every tweet on Twitter will last for 24 minutes but a pin can last for 151,200 minutes. Out of World’s 100 top brands, 93 have accounts on Pinterest. While there are still many brands who are yet to explore the advantages of this social network. Organic reach on Pinterest is higher than that of Facebook or Twitter. The sole reason behind it is the number of people who see your pins is which is often greater than the number of your followers. Another survey conducted on brand’s interaction with their fans as a percentage of their followers clearly showed Pinterest on second spot after Instagram. Cross promote your pins on your other platforms. Instagram: With over 300 million monthly active users, in just a few years after its inception. Instagram has 20% of the globe’s internet users registered on it. With highest percentage of content going viral, Instagram surely outperforms all other social networks. Engage with your audience by responding to their comments. Though it may seem to be a child’s play but generating social media traffic isn’t easy. No doubt, there are no shortcuts and substitutes for quality content. But it’s important to tweak and optimize your content strategy to ensure your content is seen/liked/shared/engages maximum of followers/fans. At the end of the day, it all comes down to creating value for your audience. It surely takes a lot of time and effort to do it right and is a forever learning curve. It’s important to ensure that when people land on your website, there is plenty of interesting content to keep them around for a while. When Google sees an increase in the time spent on a page, it usually rewards it with higher search engine rankings. Having said that, the choice of platforms for promoting your brand directly depends on your marketing and business goals and the demography of active users you want to reach on the platform.